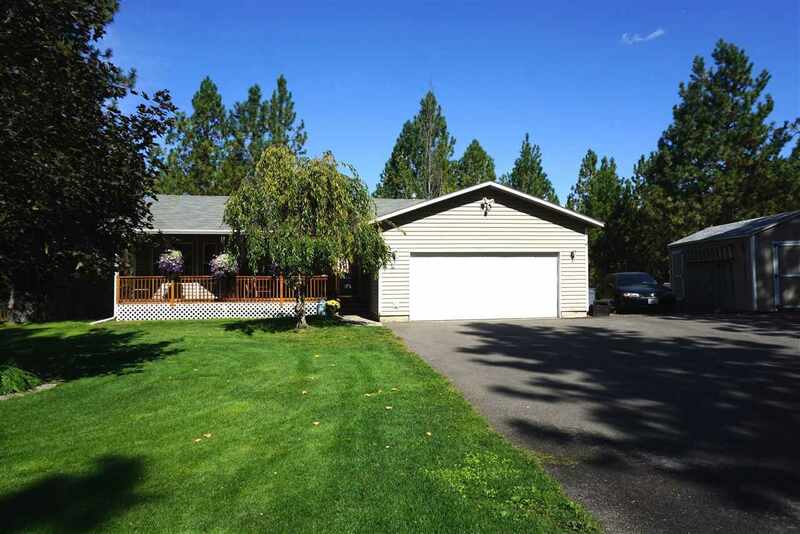 5856 C Jergens Rd, Nine Mile Falls, WA.| MLS# 201826404 | Cooper Realty Services (509) 599-1111 | Spokane WA Real Estate | Contact us to request more information about our Homes for Sale in the Spokane WA area. If you are looking for some space but still want to be close to all of the amenities you have to check this out. This great home is situated on 7 acres mol. Open concept living room with vaulted ceilings, new stainless steel appliances in the kitchen. Relax in the separate master en-suite with full bathroom w/double sinks and walk in closet. Daylight basement has a family room, bedroom and room to grow. Enjoy the attached 2 car garage, storage shed, chicken coop and play house. Too much to list!